The husband of MEP Cécile Kyenge's has announced his candidacy for the next municipal elections in the Italian province of Modena. But unlike his wife, who became Italy's first black minister under Enrico Letta's government in 2013, Domenico Grispino has no inclination for centre-left politics. In a radio interview, he said he was joining the far-right League party's list, calling its members "decent people". In 2017, MEP Mario Borghezio, another League party member, was given a €50,000 fine for saying the then-minister "wanted to bring her tribal traditions to Italy" and that "Africans belong to an ethnic group that's very different from ours". In his interview on Radio 24, Grispino said he supported the party's migration policy. "[Interior Minister] Salvini is doing the right things. I am in favour of his slogan Let's help them at home." Regarding the government's controversial decision not to allow migrants aboard the Diciotti ship to disembark, he told Radio 24: "It is obvious that Salvini is doing it to wake Europe up. He's doing well." Asked about his wife's opinion on his candidacy, Grispino said: "I think for myself, everyone thinks for themselves. I never talk about these things with my wife". 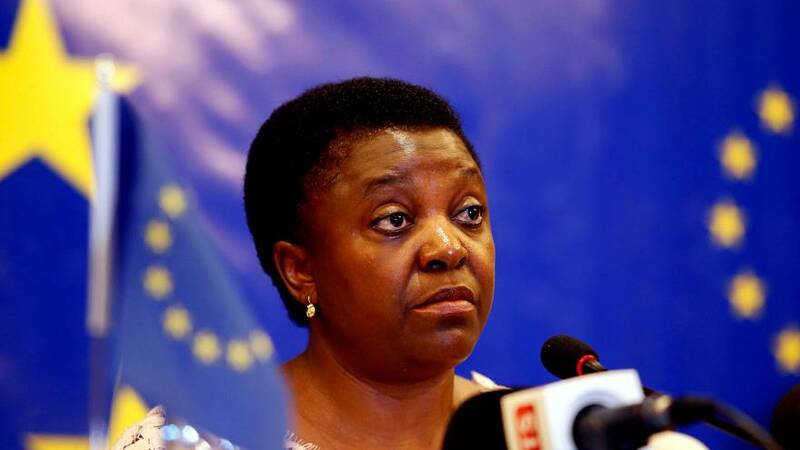 In a release published Tuesday on her Twitter account, Kyenge said she respected her husband's freedom to "run for office with whoever he wants, a freedom that is guaranteed by the Italian Constitution".